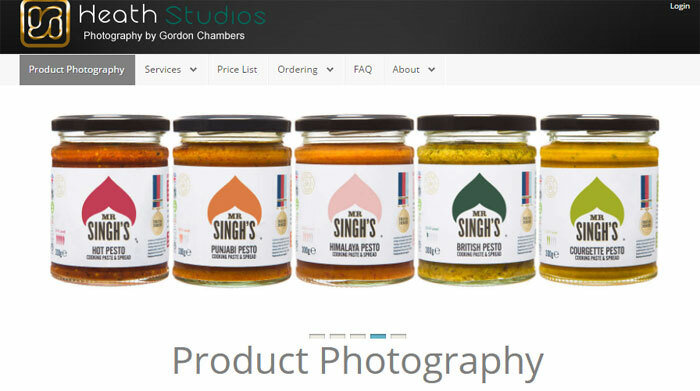 Product Photography Services Compared – YOUR Chance to VOTE! To me product photography is an integral part of your branding and that all-important perceived value of your product – which is the difference between a small online seller making a little monthly profit and a REAL business. They say a picture is worth a thousand words and on eBay/Amazon that couldn’t be more true… you can hire a professional copywriter to create a perfect product description but at the end of the day most buyers use the product pictures to help them decide whether to purchase or not. And that’s a fair question, as most of you already know this and I’ve already got extensive guides on product photography on this very blog, including guides on your camera set up, lighting and background, actually taking pictures and finally editing your pictures to make them web ready! But what if you don’t want to invest time and money in creating your own product photography set up – after all to get good results you really need a lighting kit, a decent DSLR camera, a backdrop, somewhere to actually take your photos and the expertise and knowledge to do a good job, etc. etc.! Well there is another option, which I’ve spoken briefly about before – product photography services! Yep, that’s right – you can always outsource your pictures to a specialist company. What are product photography services? Basically they are companies who take high quality product pictures FOR YOU that you then use to sell your product on eBay, Amazon or your own online store. The process is incredibly simple – you send them the product(s) that you need pictured, they get to work doing what they do best and then deliver the final edited images to you, and return your product. Nothing more to it! Aha, now that’s a very important question and one to which the answer obviously varies. To put it blankly, the majority of product photography companies that you find online are not geared towards eBay sellers. They’re for big companies who need a whole professional team and studio and the pricing for this will of course be way over what the majority of eBay sellers are able or willing to pay. But not to worry, as I have scoured the web looking for more suitable options and have narrowed it down to 3 different companies/people. I’m going to quickly run through these 3 options and then I want you, my trusted blog readers, to vote on one service for us to test! I’ll be sending the winner of this little vote a trial product to be pictured so that we can fully assess the service and final outcome to see whether it’s worth it or not. 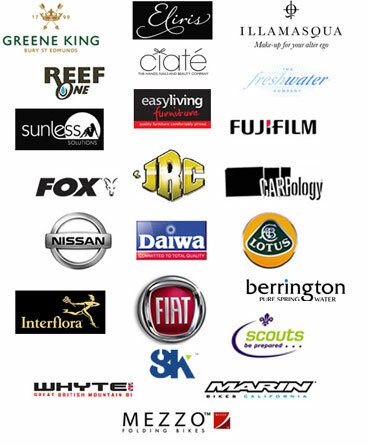 The Packshot People claim to have worked with some pretty big companies, including Nissan, Fujifilm and Emporio! This is the pricing for their standard service and there are additional costs if you need clipping paths or extra effects, such as a reflection, drop shadow or invisible mannequin. And last but not least, you can take a look at their portfolio HERE. Though I’m slightly disappointed by how few images there are, some are of a very high quality, making The Packshot People a strong contender. Now GQ Studios seem to specialise in clothing product photography, but they do also do jewellery and their pricing is amazingly low, which is why I’m including them here. There’s quite a big variation there, so I’d have liked for them to explain what constitutes standard, medium, or high but unfortunately they haven’t. You can take a look at their portfolio HERE, but once again it’s fairly limited, with not a huge number of products displayed. However, with pricing that makes them affordable to ANY eBay & Amazon seller, GQ Studios have to be worth some consideration. Now we move on to our third and final option! Yep, I decided to go for a freelance photographer for our final choice! I actually looked through a lot of websites of budding photographers who were offering their product photography services, but the problem is the vast majority of them were clearly amateurs. Now there’s nothing wrong with an amateur photographer… in fact I’m your typical amateur photographer myself – yep, that guy standing at every event and party holding my trusted DSLR haha! But I wanted to offer a more professional choice, and I think Gordon Chambers of Heath Studios happily fulfils this requirement. I like the overall style of the product pictures shown on the site and the pricing is also very reasonable. 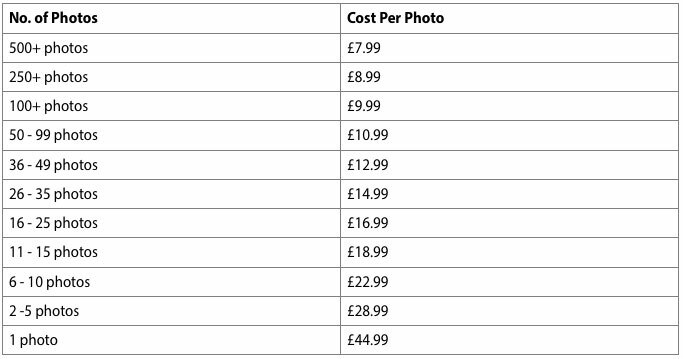 For Ecommerce Product Photography, it starts at £12 per photo for 1-4 photos and drops as low as £6 per photo if you’re ordering 100+. Bizarrely there’s no clear, dedicated portfolio section on their site and past images are instead just scattered throughout. But like I said, the quality looks good, the pricing is reasonable, and I wanted to provide a “sole trader” type option for our final choice! And there you have it – 3 options to choose from. 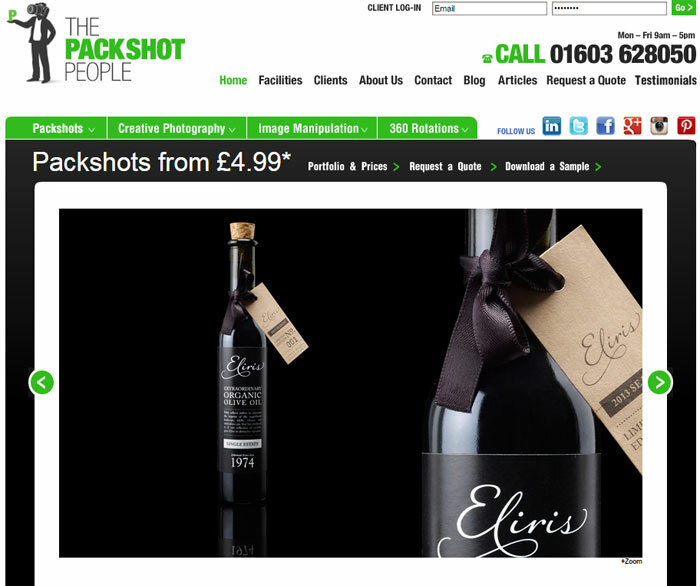 We’ve got The Packshot People – by far the most expensive option but with a client list that more than backs up their pricing. 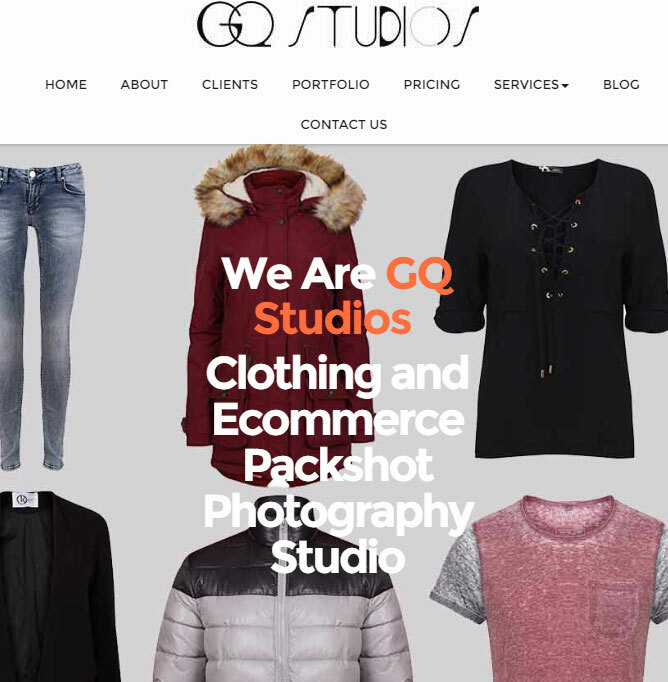 We’ve got the more budget friendly clothing specialist GQ Studios. And finally we’ve got Heath Studios, if you prefer that individual touch. And now it’s up to you, my dear blog readers, to vote and decide who we’re going to test! All you have to do is drop a comment below and when enough votes are in, I’ll add them up and find a winner! Then I’ll test our chosen service and create a separate blog post to review the results. But that’s not all – I have some more ideas planned for the follow-up, including taking some product pictures myself using a very basic set up (I’m talking iPhone instead of DSLR and IKEA table instead of professional backdrop) so we can compare the final images and see once and for all if it really is worth it to hire someone else to take care of your product photography. Obviously The Packshot People are far and away the winners for all around quality and creativity. I didn’t like CQ Studios at all. They were overly cropped, lacked originality and just weren’t attractive. Overall I would go with testing Heath Studios. Their product was more than satisfactory, the pricing is preferable and the creativity acceptable! I vote for Heath Studios, although if price were no object I would go with The Packshot People. I don’t get how ebay sellers are making any money off new toys! I wanted to set up an ebay shop selling play doh, my little pony ect. I’ve signed up to every possible wholesaler & Distributor…. but the prices just cant match what sellers are selling them for. My only conclusion is, people aren’t taking into consideration the Vat & Shipping costs, they’ve had to pay as well as the shipping to send the item to the buyer. I’ve literally no idea how its possible to sell something so cheap, and if i was to lower my prices to the same as them, i would be in minus. Lots of it is liquidation stock, also companies liquidating stock on their own (so don’t assume they make profit on those sales). There are also lots of fake toys being sold on eBay – cheap copies imported from China. Hi Andrew, for me GQ Studios would work for me. The prices are very competitive. I shopped around a lot earlier in the year and the best price I found was £10 per shot. What is important to me are a) the quality, obviously b) the turnaround time. Product photography maybe just a fill in occupation for some and I don’t want to have to wait several weeks c) useful if they can scale the photos before sending – 1600 square for gallery images and smaller for template images. Saves expense and time on Photoshop, etc.